You are here: Home » Zip. Zip. Zip. Zip. Fizz. Fizz? No, Zip. Zip. 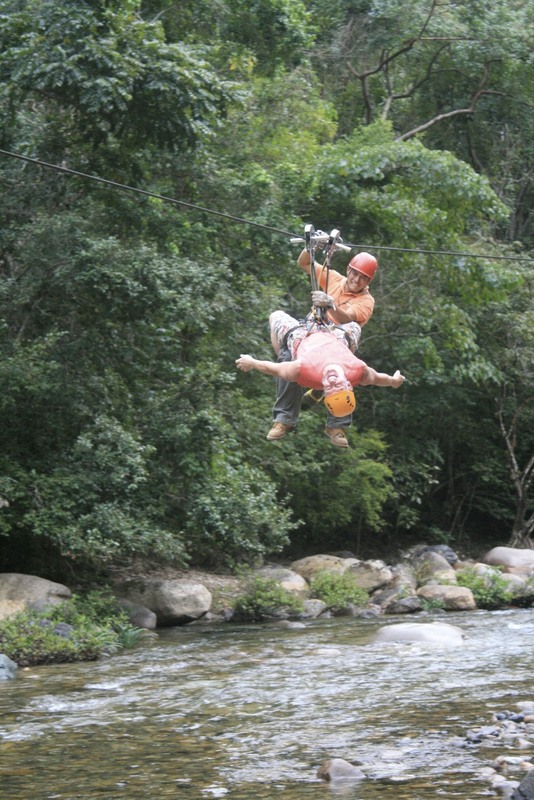 Zip Line Canopy River Tours. Have you done it before? If you have not; then you are most definitely missing something. I was a bit unnerved to do this the first time, I am not too keen on flying through the air while hanging from a thin cable. But WOW is it fun. We have done this a couple of times now, once on the Island of St. Lucia in the Caribbean, this was the first one. Our second and best one so far was in Puerto Vallarta, Mexico. 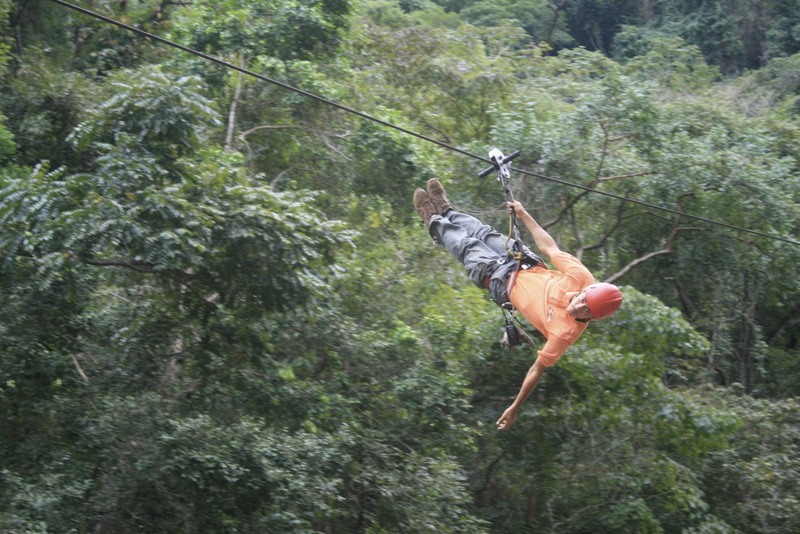 A zip-line is also known as a flying fox, foefie slide, zip wire, aerial runway, aerial rope slide and my personal favorite the DEATH SLIDE. 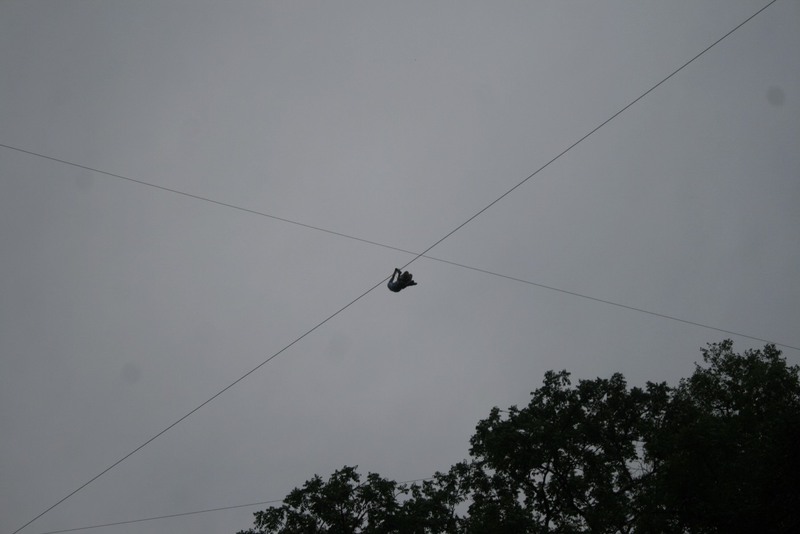 The Zip Line consists of a pulley suspended on a cable mounted on an incline. It is designed to enable a user propelled by gravity to travel from the top to the bottom of the inclined cable, usually made of stainless steel, by holding on or attaching to the freely moving pulley. 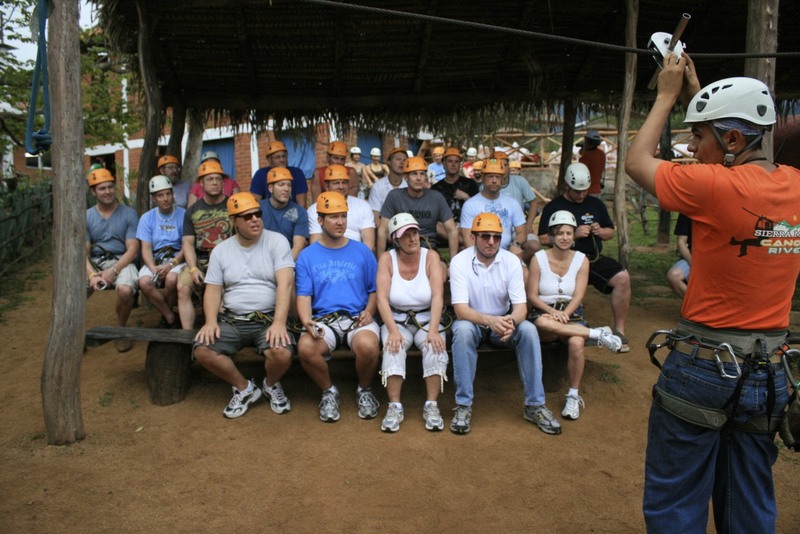 Zip-lines come in many forms, most often used as a means of entertainment. They may be short and low, intended for child’s play and found on some playgrounds. 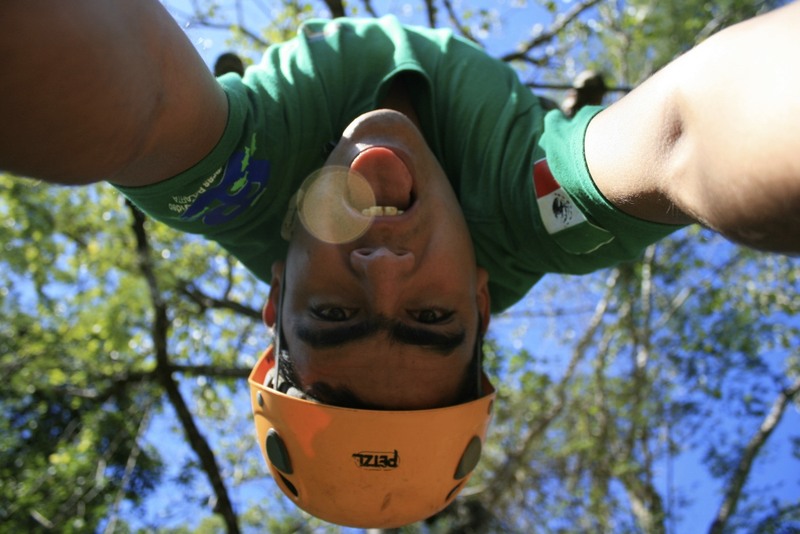 Longer and higher rides are often used as a means of accessing remote areas, such as a rainforest canopy. 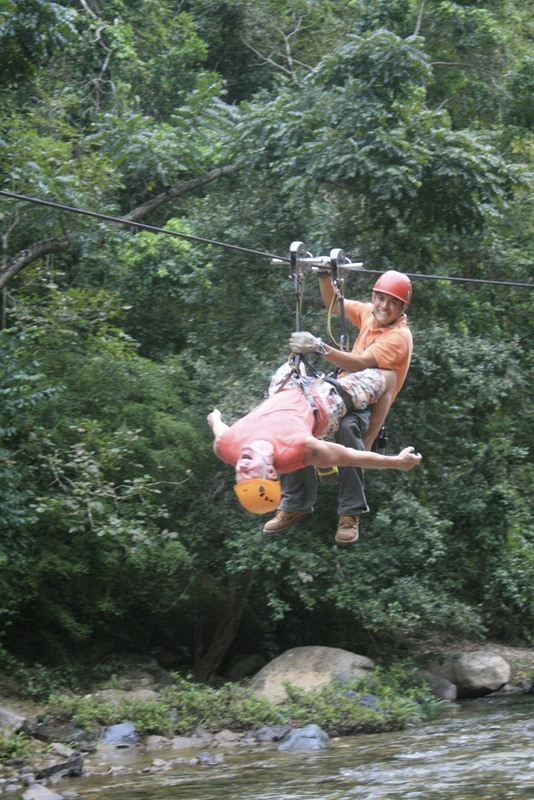 The type of Zip Line tours that are all over the world for entertainment purposes are typically set up in the highlands, where there are forests, or rain forests. With platforms set up at different elevations and cable stretched from one platform to another it is easy to move along a mountain or forest. You just Zip from one platform to another until you get to your destination. On my very first Zip Line in St. Lucia it took me a good 4-5 platforms before I started to get comfortable and not so nervous. In fact after the 4th line and platform I was able to look down. But before that all I did was stare at the sky while I was zipping from one platform to the other. If you have any issues with heights, this could be a challenge. I never felt unsafe or unsecured. 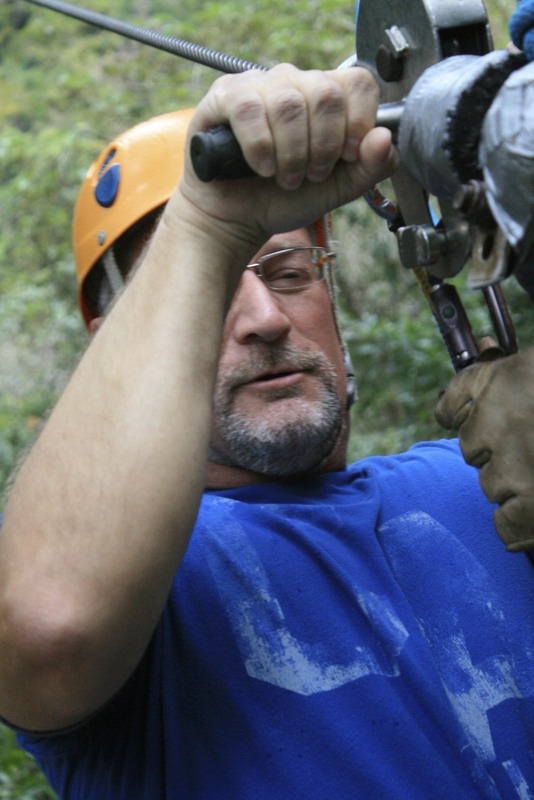 During both of our Zip’s we were decked out in all the greatest safety equipment, helmets, harnesses, gloves etc. Now don’t get me wrong, there is always a risk when doing these types of things, but for the most part they are pretty darn safe. It is more an issue with getting over the fear of doing it. The biggest concerns that most people have are “What if I get stuck out there on the cable” And “What if I can’t stop at the Platform”. The good news is that you will have someone to catch you at the each platform if your afraid you can’t stop. If necessary they will also come out on the cable to retrieve you if you get stuck. That happened to someone we were with in Puerto Vallarta. The key thing to remember is that if you follow a few simple rules, you’ll have on heck of a ride. Oh yeah, don’t forget to look around, it’s beautiful up there. 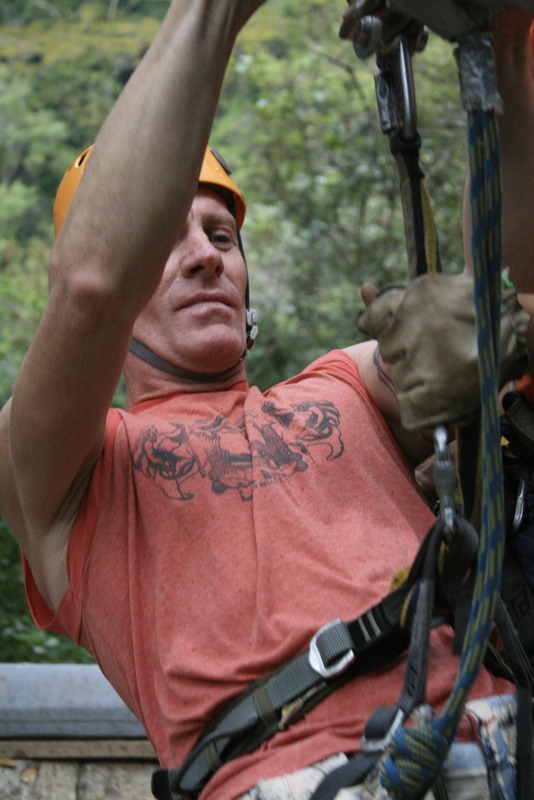 We enjoyed our Zip Tour in Mexico with Canopy River Zip Lines, Puerto Vallarta, Mexico. This is one of the best around. 13 platforms, with the longest more than 650 yards long, doesn’t sound that long, until your up in the air zipping down the line. The other thing I liked about this particular Zip Line tour is that we had a guide joining us the whole time, and he was a photographer. Needless to say, they want you to buy the pictures and videos, and you should because they are very good. 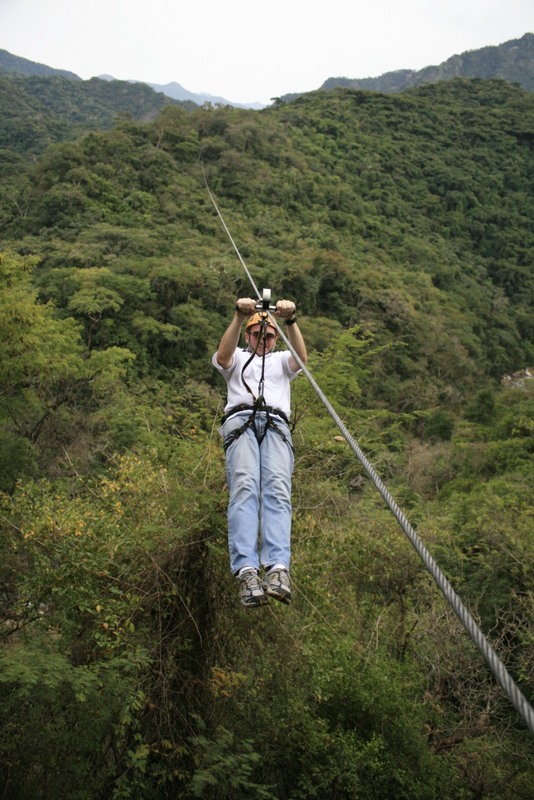 The last line is a fairly short one, that takes you over the river, if you ask the guide to zip the line upside down, he will let you as long as you go with him. It’s pretty cool because you can reach down and touch the water. 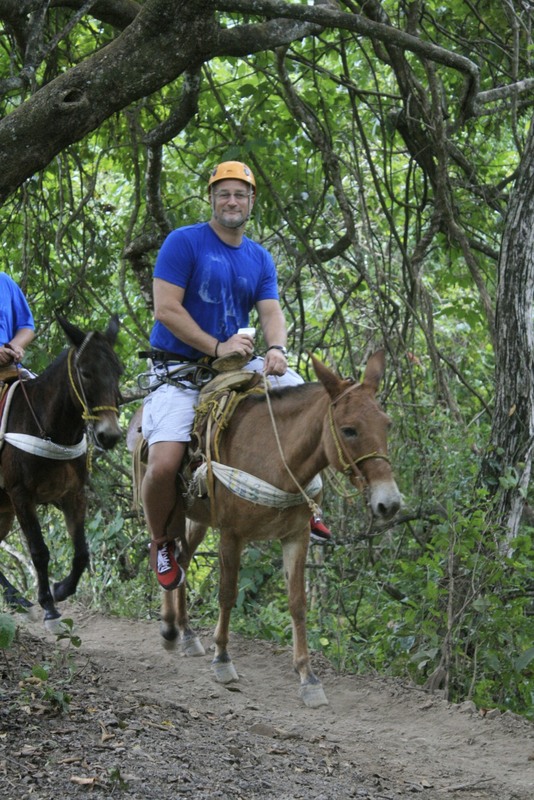 After your done Zipping around the forest, it’s back to the beginning, only your not walking, your going to be on the backside of a jackass (thats a donkey for those who don’t know). After your fun filled afternoon, take some time to have lunch at the restaurant and take a tour of the Tequila Museum and Tequila Tasting. If you find yourself in Puerto Vallarta, Mexico make reservations to take the ride! You won’t regret it. Turn up the sound, let’s Zipppppp! Become friends of travelwithscott on Facebook, just click on the “Like” button to the right. Wow, awesome blog format! How lengthy have you been blogging for? you make blogging look easy. The overall look of your website is great, let alone the content material! Thank you for the nice compliment. I have been doing this now for about 2 months on WordPress.